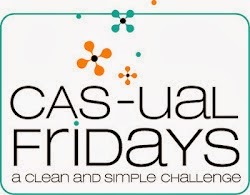 There are two great challenges this week at Our Creative Corner and The Paper Players. The challenge at Our Creative Corner is to make a card based on the inspirational photo...Butterflies!!! Now with a blog titled "Ink'd Wings", my watermark is a butterfly and my creative designs occur in my Butterfly Garden...how could I resist? now all I need was a sketch ...well Paper Players to the rescue, they provided the perfect sketch for my Butterfly card. The embossing folder was inked with Peach Bellini before I ran it thorough my Big Shot. 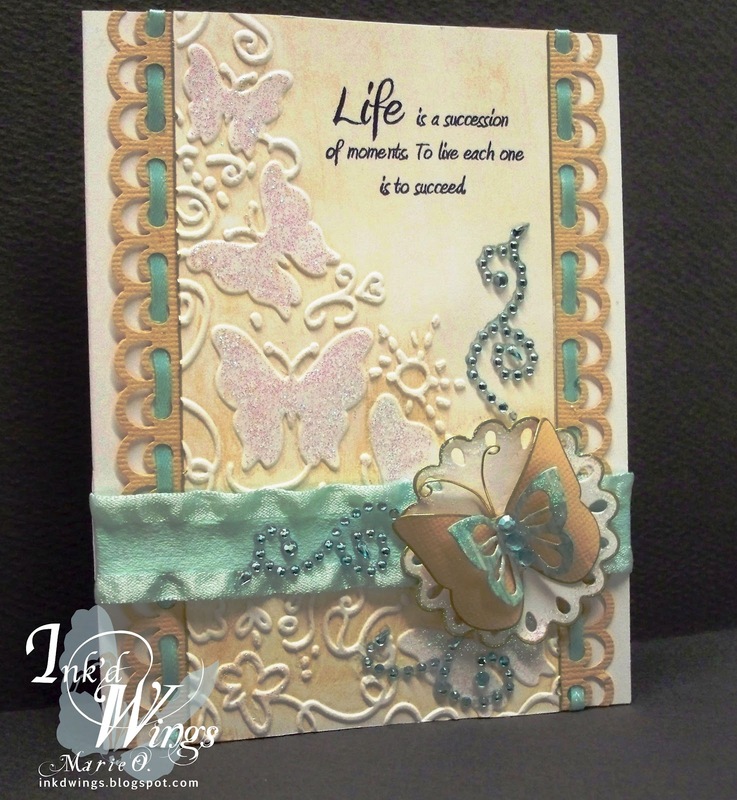 The sentiment is from a butterfly set by Prickly Pear, the large die cut butterfly is from PTI and the smaller one is C.C. Designs. Ribbon is from Hobby Lobby and rhinestones, which were colored with a Copic marker, are from Michaels. The raised butterfly images were coated with a light layer of Stickles which were smoothed out with a small detail brush. 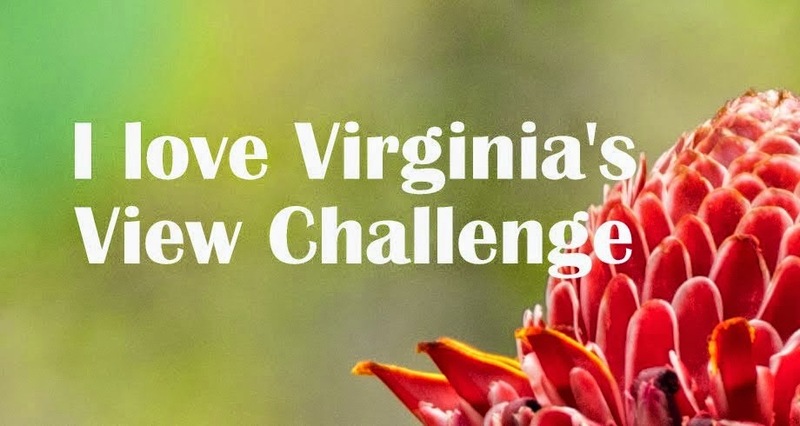 What a challenge in honour of the Butterfly Queen!?! Well you were definately up to the task today Marie, GORGEOUS card! Soft and elegant, great job. I love butterflies and this card is beautiful such soft colours I LOVE IT. wow! marie, your embossing is beautiful! love the ribbon embellishment through the paper! This is gorgeous! I love the inked detail, the bling, and threaded ribbon, so pretty! Did you say peach bellini???? Sorry, that distracted me. Your card is wonderful. Love the look the inked e/f gives. The sentiment is so perfect and love the sparkle, too. Beautifully done as usual! Oh Marie, this is lovely! So soft and pretty just like a butterfly. 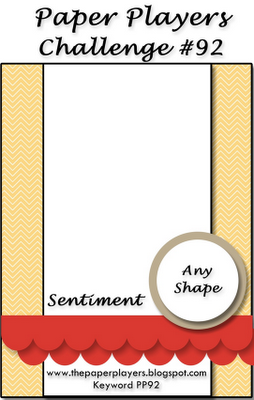 Love the inked embossing folder and your color combination is beautiful! So glad you played along with my sketch this week! Gorgeous ink work on your card, it enhances your embossing and your beautiful butterflies, all your embellishments are wonderful. Did you hear me oooohing from here? lol! 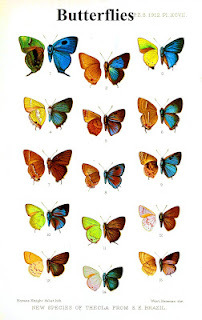 I just bought some gorgeous butterfly bits and I *HAVE* to play along!! 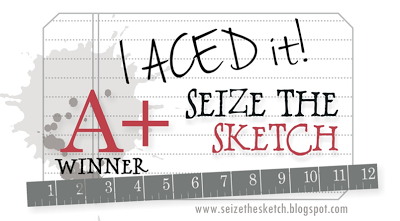 Love the threaded ribbon, and the amazing embossing - and what an incredible sentiment! Wow, what a beautiful creation! 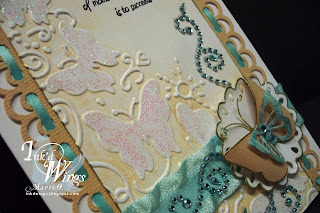 The embossing is stunning--as is the butterfly! Thanks so much for playing with the Paper Players sketch this week! Thanks for your kind comment, Marie. Your card is incredibly lovely, and I also love the name of your blog, Ink'd Wings! 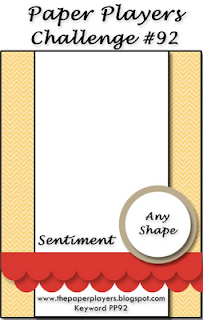 What a gorgeous card you have created, love the embossing and the elegance of it. 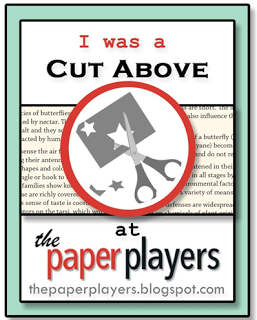 Thank you so much for joining us at the Paper Players. What a beautiful card! and thank you for letting us know how you did it! 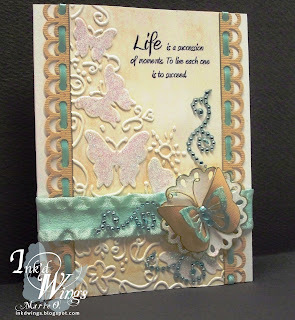 I just love the whole look of the embossed butterflies with a layered butterfly coming out of the card! How clever and creative! Thank you for playing along with us @ OCC. Beautiful card, Marie!! The colors are gorgeous! I love all the butterflies and the bling! Marie, this card is stunning! Are those glittery butterflies and all the swirly things an embossing folder??? It's beautiful! 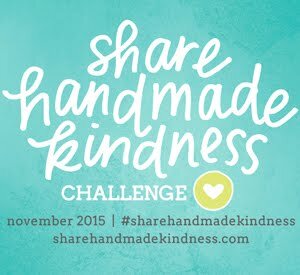 Love the medallion/butterfly grouping you made on the ribbon. What a fantastic design. Love it! A totally gorgeous card Marie - love the embossed background and the delicious embellishments. Stunning design and gorgeous card! I love it! Thanks for joining in at OCC. Simply beautiful! Amazing embossing folder and fabulous colors. I just love how you did all the ribbon treatment. FABULOUS! !